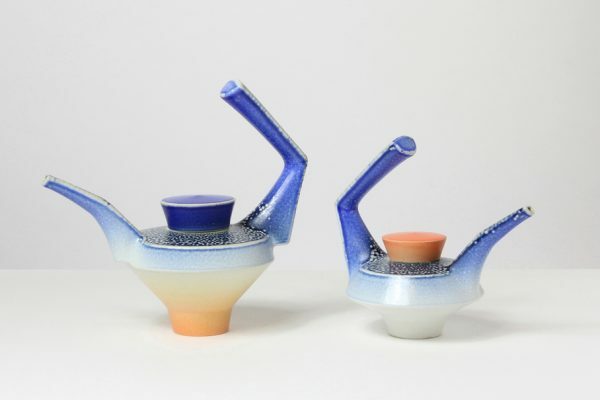 I make saltglazed ceramics with a particular interest in teapots and in other kinds of pouring and drinking vessels. Handles and handling are the starting points for these designs which aim to combine functionality with visual impact. I draw on my training (a long time ago) as an aeronautical engineer to invest these forms with the spirit of precision and a sense of movement and balance.